Believe in a brighter tomorrow. The Jacksonville University learning and living community values: students and the quality of their learning/living experience as the highest priority; faculty and student engagement in teaching, learning, and extending knowledge within an environment of excellence and academic freedom; service to the University, community, and society; and honesty, integrity, and mutual respect. 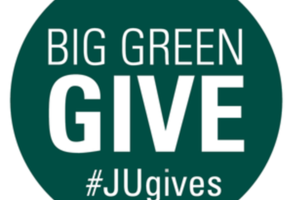 Help send JU students to NCUR 2019! You have the power to change the world around you.